Class Filled; second date added on March 14th. Call or email to sign up! Participants will use carving tools and a relief block, learn the basics of pin registration, and print by hand. New to printmaking? Want to explore different techniques? Give our First Thursday classes a try! This fall we are offering a series of introductory classes on a wide range of non-toxic printing techniques. These classes are meant to be starting points for the curious to learn various types of printmaking. Classes will take place in the evening, and will be self-contained. 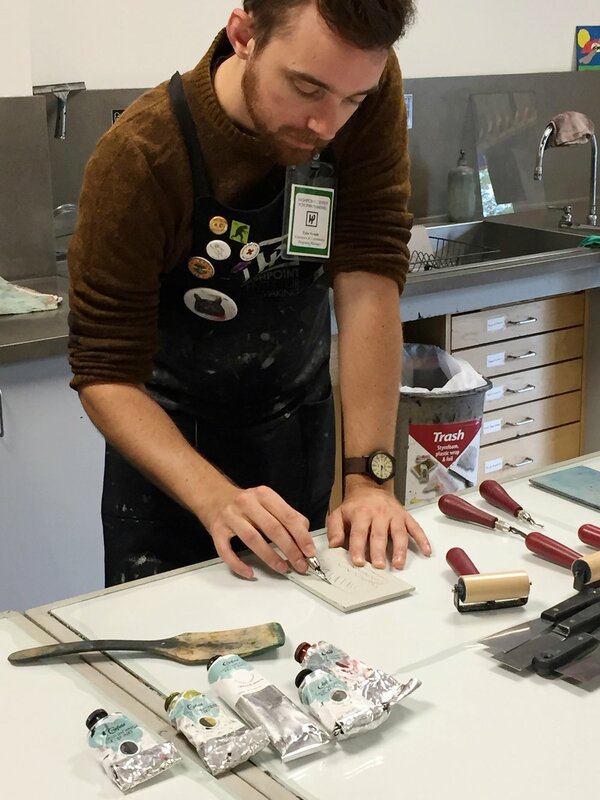 Each class will cover a basic method of printmaking. Most of the class period will be used for exploring the print process learned. All materials included with class fee. Registration may be completed by calling Highpoint at 612-871-1326 or emailing info@highpointprintmaking.org. Registrations are finalized upon receipt of payment.